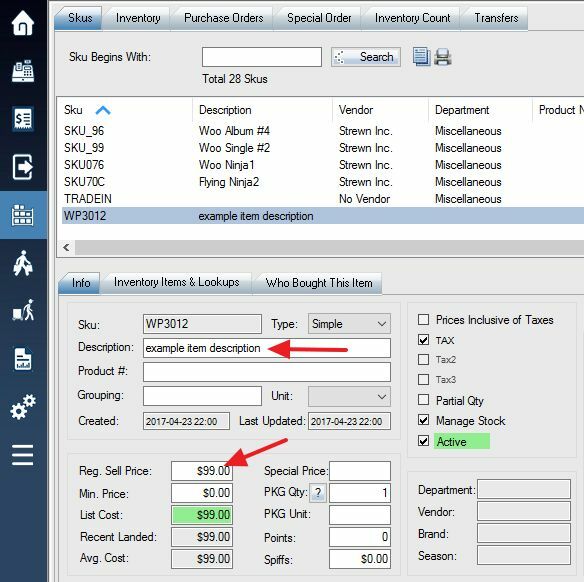 A trade in SKU allows you to take in an item from a customer into your inventory while paying them for it at the same time. The item will be created automatically as a SKU in your inventory, with a description and price. 1. 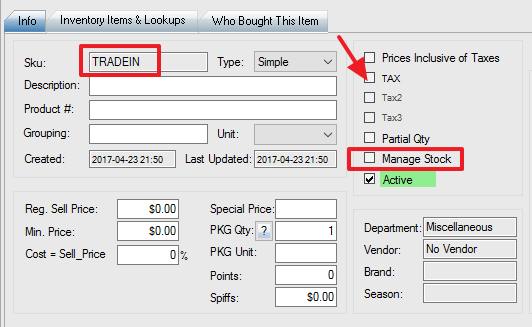 Create a new SKU called “TRADEIN”. 2. After creating the SKU, make a sale with the TRADEIN SKU. 3. Once the transaction is complete and the item has been traded in, the item will automatically appear as a new SKU with the same description and price that you specified in the earlier steps.